Contour and highlight like a professional with the Real Techniques Sculpting Set; a limited edition, three-piece collection that arrives in a high-shine, pink hue. Allowing you to accentuate your favourite facial features, the set helps to add depth to the complexion, whilst enhancing the natural appearance. 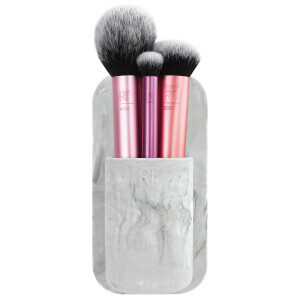 Expertly carve cheekbones with the fluffy Sculpting Brush. Crafted with a wide, angled head, the brush is the perfect tool for creating defined contours. 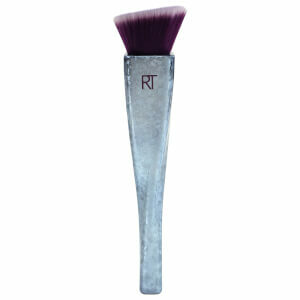 Ideal for applying dark contour shades below the cheekbones, jawlines and side of the head. Softly sweep powdered product onto skin with the Fan Brush; an essential tool that is exclusive to the Sculpting Set. Boasting long bristles in a fan silhouette, the makeup brush is the perfect companion for sweeping highlighter onto the high point of the face, and is also useful for eliminating excess makeup. Expect a smooth and even finish. 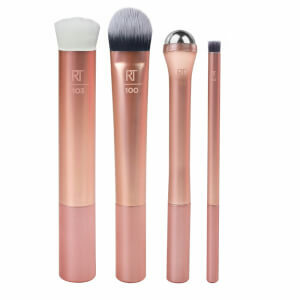 Complete your makeup look using the Setting Brush; a small yet effective brush with a rounded brush head. The tool is ideal for dusting setting powder onto the face to increase makeup’s longevity, as well as for applying highlighter to create precise results.